Using XV century card making technology, i.e. copperplate engraving, Egbert Moehsnang (b.1927- ) follows the tradition of master craftsmen and artists who create original playing card designs. Moehsnang allows his creative freedom full expression in these “Abstract Bridge” cards which were first produced in a limited edition of 80 hand-made sets. 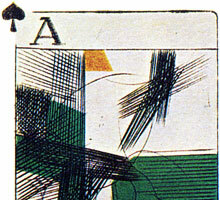 Later the cards were printed by AGM Müller in 1978. 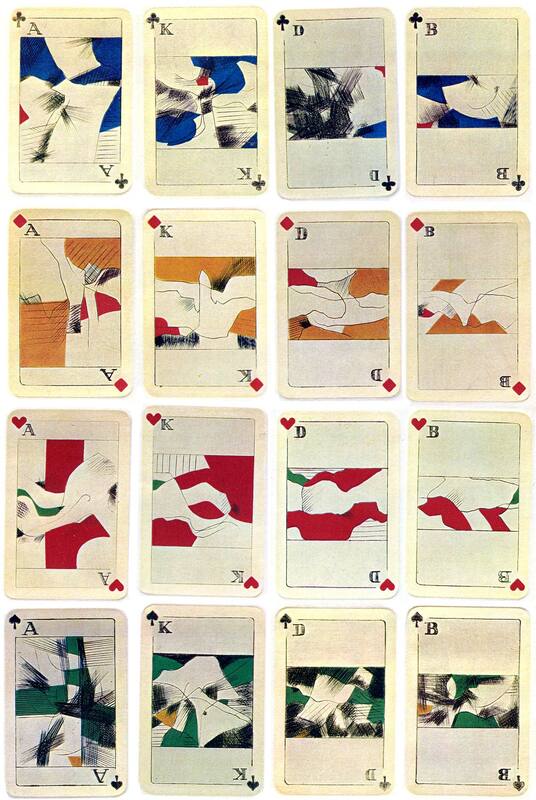 Above: “Abstract Bridge” playing cards, printed from copperplate engravings and hand-coloured with stencils by Egbert Moehsnang, c.1975.